One of the dorm essentials on your college dorm checklist is probably a dorm flashlight. You want to make sure you are prepared in case of a power outage, after all. Sure, your phone probably has a flashlight app, but you don't want to waste your phone battery on a flashlight when the power goes out. After all, you won't be able to recharge your phone in a power outage so you need to make sure you conserve its charge. So you know you need to be prepared and have a dorm flashlight handy in your dorm room. 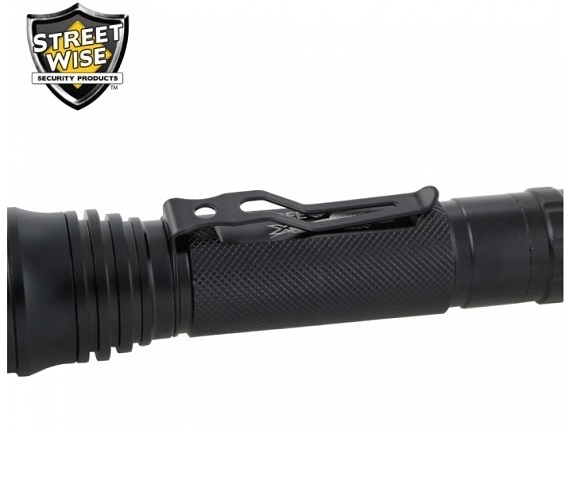 However, why not be extra prepared with our T6 Cree Flashlight with Zoom! You may end up taking night classes in college. You might be excited about this or you might promise yourself that you will never, ever, ever take night classes because you want the evening to yourself and you're a morning person. Unfortunately, you may not have a choice because some classes may only be offered at night. That means you may be walking back to your dorm in the dark which is really unfortunate if your class is on the opposite side of campus from your dorm room. The college sidewalks may have street lamps but they may not put out enough light and walking a long distance in the dark can be lonely. When you are taking night classes, it is best to be prepared and carry your dorm flashlight with you. You already have it for power outages, so why not carry it to class, too! Our T6 Cree Flashlight with Zoom is not an average dorm flashlight to carry with you. 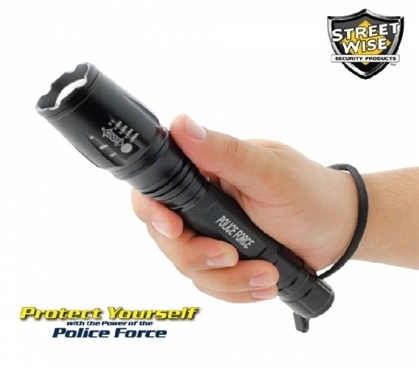 It is police strength, ultra bright with 380 Lumens and a slide zoom to adjust the focus of your light. 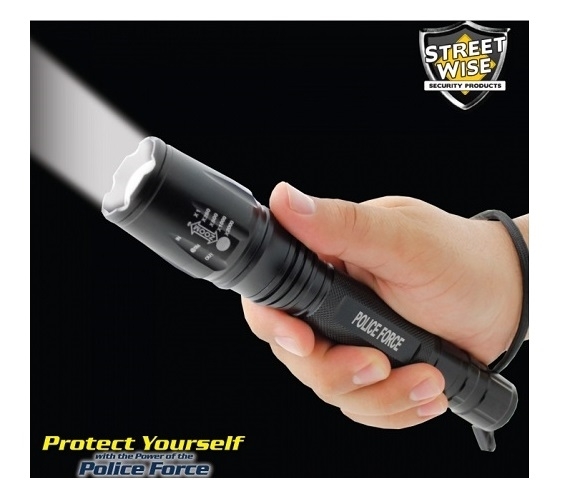 It is also water resistant in case bad weather occurs, your dorm flashlight won't be ruined. Our T6 Cree Flashlight with Zoom has five power settings, one of which is an SOS or Strobe light mode in case of emergency. When you're walking back and forth to class at night, you need to keep yourself safe and be prepared. You don't want just any average dorm flashlight when you're walking alone at night on a large dark college campus. 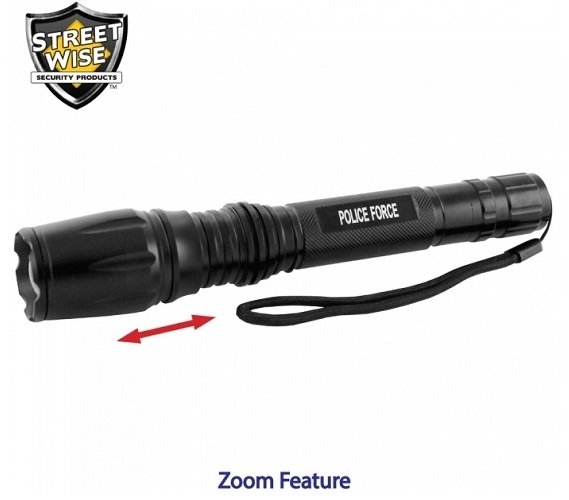 Protect yourself with our T6 Cree Flashlight with Zoom. Plus, this dorm essential flashlight is lightweight and compact enough to fit in your college bag or even clip onto your belt with the included metal belt clip!